A remix from a classic demo! This remix is a tribute to Frank Endler music. The music was originally written for the cool Task III space shoot-em up game. But, the first time I heard it was on an Ariston-Designs demo. 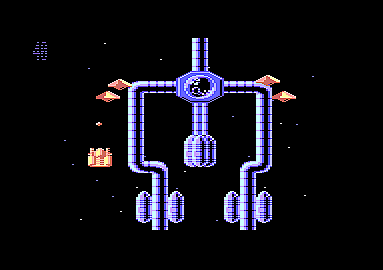 The original demo featured the graphics shown above and the music. The demo appeared on a Tracker-Like music editor for the Commodore 64. Task 3 Remix 2005 was written with Fruity Loops, using many custom-made sounds and a few samples. MP3 file is aprox. 6.36 mb, music duration is aprox 4:38 mins. 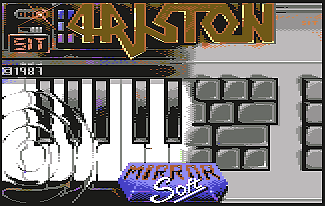 Don't forget to download my Classic C64 MP3 Player for a complete retro trip! Have a SID player ? Press Here to hear the actual C64 SID tune! NOTE: This music download is for your personal use, don't use it for commercial purposes.